Summer’s here and it’s the most popular season for road trips. Amusement parks, beaches, national parks – they’re all within reach if you have enough time and a car to drive! There’s nothing quite like seeing what America has to offer on the road. This great country was built on its highways, and a long road trip is the perfect way to experience all of it. The open road, a cool breeze, and good friends and family are the best way to enjoy summer. But is it really a vacation if you’re worried about the safety of your car? To make sure your summer is stress-free, read on for our tips and advice. Now if you’re an experienced car owner you can do this yourself, but your best bet is to have an expert do this for you. Summer heat can cause cracking, blistering, and other damage to your belts and hoses, so they might need to be replaced. It’s always a good idea to check the pressure of your tires every so often – owning a tire pressure gauge is a good idea if you go on lengthy drives. If you don’t, any gas station will have a gauge. Your tires will expand in the heat, and keeping them at the correct pressure will ensure that you don’t run into problems down the road. This is useful no matter how long your road trip is – even just the basics are a good idea: a flashlight with extra batteries, first aid kit, jumper cables, and emergency flares and reflectors. You should check this at the start of both winter and summer – fresh batteries for the flashlight and make sure the first aid kit is ready to go. Batteries are usually good for three to five years. Cars between six to ten years old will typically have any number of battery or electrical issues. Get yours tested at the three-year mark, and at the start of every season afterward. Don’t get locked out of your ride! This can be a bother if it happens at home, but it takes on a whole new level when you’re out on a trip. While all sorts of fancy technology has been implemented, such as smart keys and keyless entry, it’s always better to be safe rather than sorry. If your keys use the aforementioned technologies, make sure to take them with you at all times and avoid exposing them to water. Pro tip: keep spare batteries for them in your emergency kit! An ounce of prevention is worth a pound of cure. Getting on top of car-related issues before you even experience them is smarter and easier! Your car is an incredibly complex machine with thousands of moving parts and some of the most advanced technology you’ll get to experience. 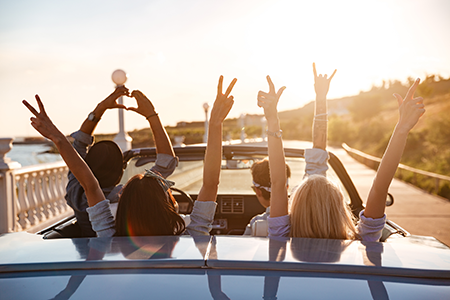 Being proactive is the best thing you can do for your car and for your summer vacation. If you’ve already taken care of all of this, King Brothers Collision is ready to assist you if you have any other auto repair needs. Maintenance checks, collision repair, and custom paint detailing – we can do it all! Give us a call at 313-534-8090 (Redford) or 734-744-8557 (Livonia). You can also fill out our online contact form and we’ll get back to you at a more convenient time.